John J. Brown is Head of Global Markets & Investment Banking Services (GMIS), Americas. In this role, he manages all institutional operations for Merrill Lynch for the Americas. From 2001 to 2007, his responsibilities at Merrill Lynch included the Prime Broker and Swaps business, which during that time saw an increase from $75 billion in assets to $200 billion. 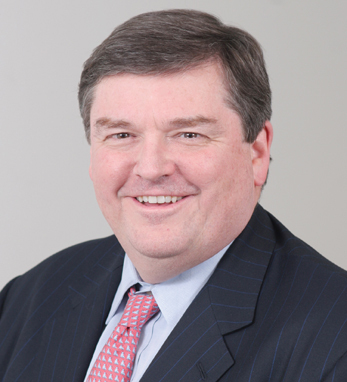 Prior to his time at GMIS, Brown headed Convertible Securities at Merrill Lynch for five years. His over 25 years of experience in global markets has also included time as head of Convertible Securities for UBS and SG Cowen. Brown graduated from St. John’s University in New York and holds a Series 3, 7, 24, 55, 63. He finds time to serve as a board member for Tuesday’s Children, an organization which aims at providing programs designed to help family members of victims of 9/11. Brown is a first-generation Irish-American. His father hailed from County Mayo and his mother from County Wexford. Brown is married with five children.